A year ago, Joe was kind enough to let me post here about my decision to quit my job and write full time. I’d been with the same company for fifteen years, and I was earning above average wages. Full benefits, 401(K), the whole shebang. As jobs go, it was about as stable as they come. So I made the big move, and since then I’ve written four novels, two novellas, and a short story. Not bad for a twelve-month period. I’ve never been more productive as a writer, and I’ve never been happier. But was it a smart decision to abandon steady and lucrative employment and depend solely on something as unreliable as writing for an income? And that’s pretty much the way I felt. I had faith in my writing ability, and I had faith in the uber-promo machine that is Amazon. The genre publishing world, it seemed, was my oyster. Unfortunately, that’s not the way it has turned out so far. I say so far because, as of now, only two of the four books contracted through Amazon have been published. CROSSCUT was released June 5, 2012, and SNUFF TAG 9 came out November 20, less than six months later (POCKET-47, my debut, was released in May 2011 by another publisher). Sales haven’t been terrible, but they haven’t been great either. Among the three series titles that have been available, I’ve sold about 20K copies over the past twelve months. I should mention that my experience with Thomas and Mercer has been altogether positive, and that I wouldn’t hesitate to work with them again if the opportunity arose. KEY DEATH, my third book with them, launches later this month, and the early reviews have been excellent. I’m expecting great things from this title. Anyway, I knew, even before I turned in my option book, that I wouldn’t get the kind of offer I was looking for. The numbers just weren’t there. Would I settle for the same terms from T&M as I got on the first four books? Nope. Would I settle for a $20K advance and 25% ebook royalties from a traditional publisher? Nope. So, with my Amazon contract fulfilled, I had some choices to make. I could either scrap the Nicholas Colt series (along with the first book in the spinoff series, which I’d already completed) and start on something totally new—with the hopes that my agent could sell it to a traditional publisher—or I could self-publish my Colt books and think about everything for a while. And from the title of this post, you already know that I chose the latter. First of all, I believe in the series, and I want it to have a decent chance at succeeding beyond the books in the Amazon contract. Based on the numbers so far, it isn’t attractive enough for T&M or other major houses to make the kind of offer I would accept, but I’m hoping it will catch on as more titles are released. Three just isn’t a fair gauge of its potential, in my opinion. Also, I’d been wanting to try my hand at indie publishing for a while anyway. I’d tentatively dipped my feet in the waters with a novella and a short story, but I wanted to see what a full-length novel would do for me. One in the Nicholas Colt series, one where I already have somewhat of a fan base. I’d already written the finale to the series, a book called BLOOD TATTOO (to be released November 26, 2013), and I’d already written the next book (the spinoff mentioned previously), so my hands were somewhat tied as to where I could go with the Colt character. And that’s when I decided to write a prequel. Actually, Joe gave me the idea. In a roundabout way, that is. When he got the rights back to his Hyperion titles and self-published them, he mentioned that all of those books were now brand new to the people first looking at them. When he said that, I started thinking about how truly flexible ebooks are, how you can do almost anything with them. Readers discovering me for the first time, for example, might want to start the Nicholas Colt series from the beginning, but who says the beginning has to be the book that was published in 2011? With digital, you can do all kinds of cool and strange things that would have been very difficult in the paper world. You can, in essence, travel back and forth in time, and you can do it instantly. action three years prior to the events that occurred in POCKET-47. And the real beauty of it? I can do it again if I want to. And again. I can write prequel after prequel after prequel, and at the same time continue to produce the spinoff books on the back end of the series. The possibilities are pretty much endless. Pushing the button to publish my first indie title felt good. It felt like something I should have done a long time ago, and I plan to do it many more times in the future. It’s liberating, knowing that this is my book and I can do anything I want with it. COLT is priced at $3.99, but I’ll send a free copy to the first fifty people who agree to read it and post a review on Amazon before July 31, 2013. Just go to my website, click on CONTACT, and send me an email if you’re interested. Also, you’re welcome to sign up for my newsletter if you would like to receive updates and special offers in the future. So that’s where I am now, embarking on my journey as an independent author. It’s exciting, but it’s kind of scary at the same time. Will COLT, and subsequent titles, spark better interest in the series? Will it take off well enough for me to stop dipping into my savings? Or, conversely, will I be forced to stop writing full time and go back to the grind of a soul-sucking day job? Only time will tell, but I’m going to give it my best shot. If anyone is interested in watching me soar (or crash and burn), I’ll be chronicling it all here. Thanks for having me, Joe, and thanks to everyone who stopped by to read my post. I’ll be hanging out in the comments section, and I would love to hear from every one of you! Joe sez: There is no magic button that leads to success. I can see why Jude may seem a little discouraged with his numbers because he isn't earning a living with them, but 20,000 sales is very good, especially in such a short amount of time. For those who read my blog, it took me 14 years to get the numbers I'm currently getting. I signed with Amazon Publishing for five books, Shaken, Stirred, Flee, Spree, and Three. So far I've outsold those ebooks with my own self-pubbed KDP titles. Notice I said so far. When the Amazon promotion machine works--and it does work--the results can be spectacular. You can sell 100,000 ebooks in a month. You can make $50,000 in a day. I know this, because I know authors who have done it. KDP gives me more control over my backlist--pricing, sales, freebies, KDP Select, other platforms. It allows me to publish faster, make changes quicker, and gives me more options. But I can't make on my own what I can potentially make with Amazon Publishing. So I hedge my bets and publish a few titles with them per year. As I said, with many of my peers, it has paid off in a huge way. And because ebooks are forever, those A-Pub titles can still pay off. Right now, one of my German A-Pub titles (Amazon did the translation) is #3 in the Top 100. It sold 700 copies a EUR 4,99 yesterday. That's a lot of copies, and a nice chunk of money, and I couldn't have done that via KDP. Hell, translation costs alone would have been $5k. This month, THREE is being released by Thomas & Mercer. So far, the Codename: Chandler series has done okay, but not as well as my bestselling KDP ebooks. However, with just one promotion, Amazon can make the Codename: Chandler series sell like crazy. My fingers are crossed. But, knowing some of the inner workings of Amazon promotions, there are no guarantees, and it isn't easy. I've never worked with a more enthusiastic more professional publisher than Amazon. They're smart. They're motivated. They want their books to do well. However, all publishing success requires luck, and not every book will get lucky. I think Jude is being smart, going with both A-Pub and KDP. He might also try other platforms, and experimenting with pricing and freebies. I also think all authors should diversify. I've had five pen names all in different genres. 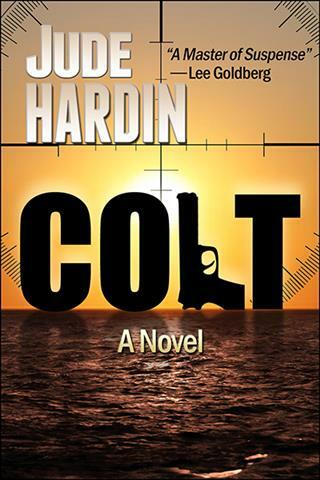 The Colt series might be a big hit this summer. Or it might not become a big hit until 2023 (it took my Jack Daniels series ten years to become a hit). In the meantime, he's written a horror short story, and should consider longer horror works. Or sci-fi. 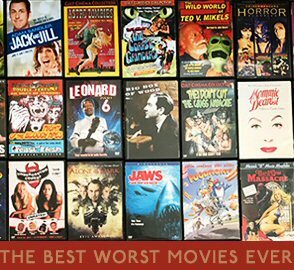 Or stand-alone thrillers. Or erotica. The money is out there. We just need to keep experimenting until we find a big audience. This is a marathon, not a sprint. Keep writing. Keep trying new things. And stay positive. Also, buy Jude's books. They're good.